Last month, I discussed the importance of social equity in public administration and community development. This month, PA Times is focusing on another important issue of equity: female leadership in public agencies. It is a discussion that needs to be ongoing among public administration scholars and practitioners. Our field needs to remain vigilant in ensuring that public agencies at all levels are placing women in key management positions. This is not just an issue of fairness in administration. Such a goal also helps promote effective administration. In the U.S., state and local governments have struggled in placing women key leadership positions. For instance, Dr. LeAnn Beaty, a colleague at Eastern Kentucky University, along with her co-author Dr. Trent Davis found that women are more likely than men to earn an MPA degree, but only a small percentage of these women find careers in local government management. The same issue plagues local economic development. A few years ago, my coauthors and I found only a handful of women working as directors of local development agencies in Kentucky. In fact, only nine women completed our survey sent to all of the state’s directors of local economic development agencies. At the state level, research has shown that men dominate managerial level positions. However, since the early 1970s, states have made progress by placing more women in important managerial positions. Gender disparities in leadership adversely affect local government management and community development in our nation. For one, such disparities harm the fairness of our public agencies. Many scholars of public administration, in particular members of the discipline associated with New Public Administration, argue for fairness to be one of the main goals of our organizations. To these advocates, public agencies can possibly be efficient and not fair, but our organizations cannot be truly effective in a democracy without being concerned with issues of fairness or equity. 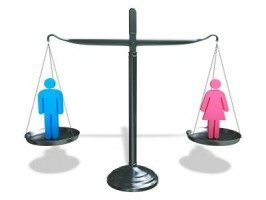 Research shows that female managers may be more concerned with the goal of fairness than male managers. In the general literature on leadership, there is evidence that women are more democratic in their leadership styles than their male counterparts. When it comes to leadership in public agencies, Bass and Avolio found female public managers to be more democratic than male managers on a host of administrative issues. And lastly, evidence shows that female city managers are more likely to advocate for public involvement in governmental decision-making, compared to male city managers. Second, evidence shows that female managers may be more effective at transforming organizations than male managers. Based on a meta-analysis of 45 studies, Eagly, Johannesen-Schmidt and Engen “found that female leaders were more transformational than male leaders.” Furthermore, the authors found evidence that female leaders were more likely to reward their workers than male leaders. Male managers were shown to be more concerned with economic incentives and practiced a laissez-faire approach to management. The focus on transformational leadership among female managers is in keeping with the goals of community development. Based on past research, having more female leaders in key local government and economic development positions would help communities accomplish the transformational goal of community development. The following are some of the reasons why female managers may improve administration in local government and development. Female leaders may advocate for more innovative policies. When my colleagues and I surveyed developers in Kentucky, we found that the female economic developers viewed certain types of economic policies as being more effective than the male economic developers. These policies tended to be the less traditional ones. Male managers were more inclined to support traditional economic development policies, such as trying to attract industry, instead of more creative-based policies. Female city managers are concerned with citizen involvement in local decision-making. Citizen involvement that solicits meaningful and representative public input is the foundation of vision-building and assets-based development. Female leaders bring a needed perspective to policy development. For example, as discussed in a Governing article, men dominated the development process of the nation’s biking standards. Accordingly, the biking infrastructure guidelines in this nation may be more dangerous for women than men. As discussed throughout this column, community development seeks to better social, political and economic institutions by cultivating local assets. Communities accomplish this goal through collectively developing and implementing local visions of their future. This process is at its core about transformation. Ensuring that we have more women in management and leadership positions will strengthen the quality of public administration in our local governments, and in turn, reinforce the community development process for our communities. Accordingly, promoting female leadership in local government is an example of how fairness is just not only fair, it is also effective administration.